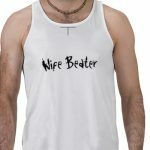 Is God a wife beater? 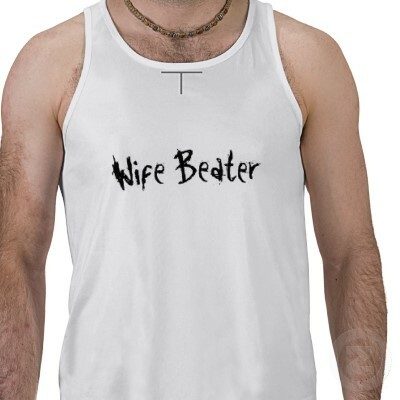 You are here: Home / Redeeming Church / Is God a wife beater? The God that is often portrayed by many pastors and many Christian books is a God who wants to inflict pain on you for your sin. His wrath is terrible. His vengeance fierce. His anger is poured out upon sinners. And so when you sin, you better watch out, because God is going to get you! When we remember that the church is referred to as the “Bride of Christ” and we recognize that Jesus represents God, this whole angry-God imagery makes people think of God as a wife beater. And do you want to know where this imagery of God begins? It begins in the very beginning, when God sets out to inflict pain on Eve because she ate the wrong piece of fruit (Genesis 3:16). I can’t believe you ate my pear! When we get home, are you ever going to get it! That was MY pear! I told you not to eat it! When we get home I am going to beat you so hard! I am going to pound you into a pulp. You have never have known such pain! I will inflict pain on you such as you have never imagined! And you know what? I’m going to beat our daughters too. They need to learn to mind me and obey me. They need to learn to do what I say. So I’m going to whip you good and then whip our daughters. I believe if you heard this, you would call the police immediately. At least, I hope you would. I will make your pains in childbearing very severe; with painful labor you will give birth to children. Why does God say He is going to “bring the pain”? Because Eve ate a piece of fruit she wasn’t supposed to. Yes, yes, I know there was more to it than this, but even still …. It just doesn’t seem right for God to inflict pain on Eve for what happened, and not only on Eve, but on all women who follow after her as well. The traditional way of reading Genesis 3:16 has God inflicting pain on Eve and all her daughters because Eve ate fruit from the Tree of Knowledge of Good and Evil. Does this sound much like a God you want to love, honor, and serve? I’m going to try to resolve most of these issues in an upcoming podcast episode. This episode was supposed to be done this Thursday, but I’ll be honest … Genesis 3:16 “brought the pain” to me as well. So far, in the last two weeks, I have logged over 20 hours just studying this one single verse. Actually, I spent this time on just the first half of the verse, the part I quoted above. I think I have a pretty good solution to the problem of God inflicting pain on women, which I will present in my podcast when it comes out, but I am not yet ready to record it. Hopefully by next week. But guess what? There is still plenty you can listen to between now and then! I was recently interviewed by two different podcasts, and here the links so you can go listen to them. 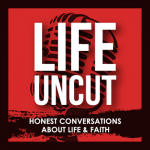 The “Life Uncut” podcast will have a “Part 2” later, so I will include it then. Make sure you subscribe to both of the podcasts as well, since both are fantastic. 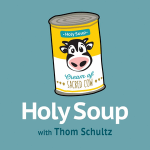 Thom Shultz, CEO of Group Publishing, Interviews me about Biblical Illiteracy (and why I don’t think it is a crisis in the church). A Discussion with Tom Walter and Jeremy Myers. This is only Part 1, and I imagine that Part 2 will be out next week. Right on Jeremy! God’s word surely doesn’t support roles that set women up for abuse? I think I have the answer! I was just happened to come up with it yesterday, not knowing about this. It’s a coincidence because this is the first email from your website that I’ve read in months. What if the tree of the knowledge of good and evil isn’t what we think it is! What if it’s not the knowledge ABOUT good and evil, but the knowledge OF good and evil. What do I mean? Well the knowledge about good and evil suggests being able to determine what is right and wrong. Why would that be a bad thing in God’s eyes? But now let’s imagine it’s the knowledge OF good and evil, meaning it’s knowledge that is simultaneously good and evil. Think about this: what is one of the main differences between humans and animals? One good answer would be our incredible intelligence. Now, here’s a tricky question: Is the intelligence that human have ultimately good or bad? I think the most common answer would be “It’s good.” This intelligence has brought us art, technology, poetry, music, and science. But one could also argue that human intelligence is bad. It has brought us war, nuclear weapons, environmental destruction, slavery, genocide, and much more. Our intelligence combined with our depravity is a terribly dangerous combination! Therefore, is the human intelligence one of good OR of evil? I think you would have to say both. So what if the eating of the Tree of the Knowledge of Good and Evil represents human’s gaining knowledge/higher-reasoning? I think there is more evidence to support this theory. How does this view of the Fruit of Knowledge of Good and Evil relate to other parts of the story? Well let’s see. After the Fall God said to man, “By the sweat of your brow you will eat your food until you return to the ground, since from it you were taken; for dust you are and to dust you will return.” This makes sense in light of this theory, because the invention of agriculture was a fruit of human intelligence. Before agriculture, humans were hunters and gatherers. Then God said to the woman, “I will make your pains in childbearing very severe; with painful labor you will give birth to children. Your desire will be for your husband, and he will rule over you.” To many modern readers, this passage comes across as offensive. But what if you apply the theory to this passage? These consequences are the natural results of human intelligence. First of all, humans have an incredibly dangerous birthing process as compared to other animals. This is related to humans being the most intelligent creatures, because we have larger brains. Because of these large brains, our heads can barely squeeze through the birth canal. This is why childbirth is so dangerous in humans. The next part of the curse says that husbands will rule over their wives. This ALSO makes much more sense in light of this theory. Because humans were intelligent, they created agriculture. Agriculture gave rise to civilization. Many anthropologists now theorize that the development of agriculture/civilization lead to patriarchy (http://w3.salemstate.edu/~hbenne/pdfs/patriarchy_creation.pdf). This would mean that God was not establishing patriarchy, but that it was a natural consequence of the agricultural revolution and the birth of civilization. Part of Jesus’ mission was to destroy the consequences of sin. Patriarchy (where women are viewed as property) is one of the consequences of sin, and so this is why Jesus stood up for the rights of women. But if this is true, in whoever wrote the sexist passage in Timothy. The author of Timothy seems to think that women should submit to men, because patriarchy IS the curse received as a PUNISHMENT for the fall, not as a natural result. But he seems to misinterpret Genesis 3 even more when he says “women can be saved by child birth.” He seems to be referring to the prophecy where God said the woman would give birth to a son that would crush the serpent’s head. But instead of rightfully connecting it to the Messiah, he seems to think it refers to birth in general. Perhaps Timothy was a later forgery. Considering it does quote Luke as Scripture, it seems odd that it could’ve been written by Paul. But why would God allow that in the Bible? Then again, there are some known additions. But didn’t God already make us with intelligence? Perhaps that’s why the fact that it was a TREE that bore FRUITS that was important. In many metaphors, a tree tends to represent the growth-like nature of the subject while the fruit represents the results. For example, in the metaphor “fruits of your labors,” the long process of laboring is represented by a tree and the final products of that laboring are represented by fruit. Another example is “fruits of the Spirit.” The Christian growth process with the Spirit is represented by a tree and the results are represented by fruit. Also, where can I find your personal contact information? I did more research on Timothy (the book with the verse about women being submissive) and there is a strong academic argument against it being the work of Paul. It makes a lot of sense considering it contradicts many other works in the Bible. For example, if women aren’t meant to have authority, why was Deborah appointed by God (Judges 4)? Even Jesus was supported financially by women (Luke 8:3)! “Paul” says, “But I do not allow a woman to teach or exercise authority over a man, but to remain quiet. 13 For it was Adam who was first created, and then Eve. 14 And it was not Adam who was deceived, but the woman being deceived, fell into transgression.”(1 Timothy 2:12-14). The writer seems to think patriarchy exists as a PUNISHMENT from God for eating of the fruit, as opposed to a natural result of human evil. A son born of a woman ultimately did crush the serpent’s head (Jesus). However, “Paul” seems to think it’s child-birth in general that redeems women. Also, I think it is accurate that God accounts for human sin (but no more severe than the severity of the crime itself). This is justice. If you do wrong to another one of God’s children, He will be angry. However, we are all sinners so one wonders if God is working AGAINST all of us. 1 Peter 3:13 says if you are “who is going to harm you if you are EAGER to do good.” This shows that God is for those who are EAGER to do good, not those who never sin. If you humbly submit to God to heal your brokenness and admit your sin, that shows you are EAGER to do good. But God is against those who have no humility. An example of this is when Jesus talks about the tax collector and the pharisee. They are both sinners, but one is blessed as righteous and the other is cursed. The difference is that the pharisee was so proud of himself that he judged others to make himself feel greater. However, the tax collector humbled himself to the knowledge that he could not heal his broken heart. Only Jesus can restore us to God. Therefore, we must HUMBLE ourselves and surrender to Jesus to take our broken hearts and HEAL them. The difference between a sinner who is blessed and one who is cursed is that one is humble and strives for God but the other is shameless. According to the serpent seed theory, God cursed Eve’s childbearing process for procreating with the serpent, which gave birth to Cain who was of that wicked one (1 John 3:12). It seems that when people look at the passage relating to the aftermath of eating the forbidden fruit, that the assumption is that Adam and Eve were cursed by God as a punishment. Is this really so. It was the serpent that was cursed. We read in another place that the humans were removed from the garden because (it seems to be hinted ) that if they took from the Tree of Life and lived forever the consequences would be disastrous. Also we read that later God dispersed people from the Tower of Babel because (it seems to be hinted ) that the unity of people would also be disastrous. So bearing all that in mind, maybe we should look carefully at the declarations on Eve and Adam and think that maybe these are not curses or punishments at all, but limitations by God’s mercy, to hold back the worst consequences of sin. It could be that the altered relationships of man and wife, the altered ability to exploit the earth, the limiting mortality were put in place to protect humankind from transforming the earth into a planet of endless hell , with unlimited exploitation, unlimited birth rate, unlimited life spans. And I meditate that exiling the humans from the ” Garden of Eden” was a way of ensuring that they would be able to be redeemed and return. As Mr Myers has pointed out, death comes before life. I will be interested to see what Mr Myers has to say. I think I have learnt a lot from Mr Myers calling attention to the fact that it is not punishment but love and redemption which is always God’s plan. Thanks for the podcast suggestions! But the second link doesn’t work anymore…at least for me?